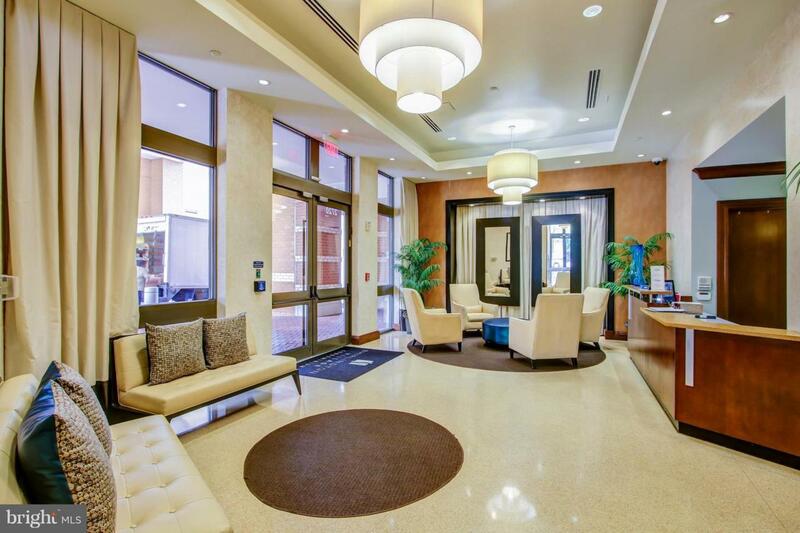 One of only 8 of this floor plan in this sought after building, this large 1 BR with DEN has 2 full bathrooms. Use the den for a home office or a second bedroom. Flexible space. Large west facing balcony brings in lots of light. 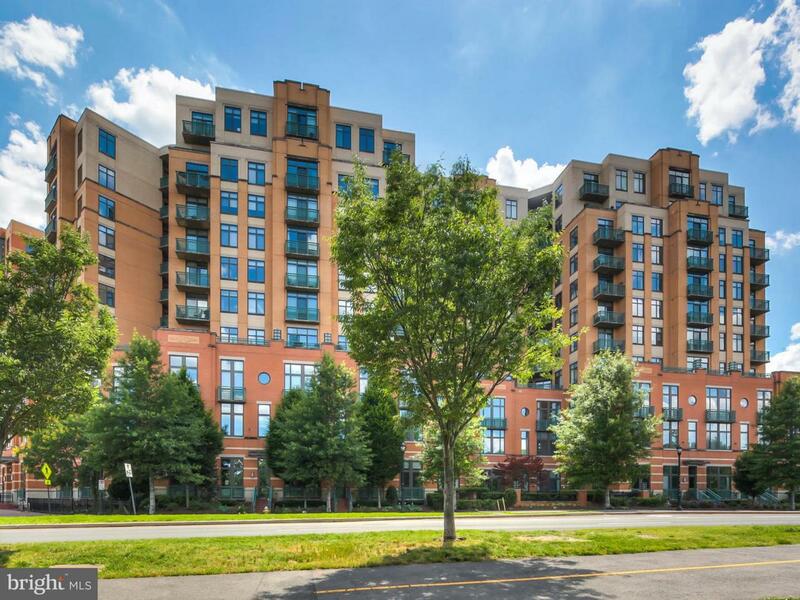 Rent includes 1 garage parking space, a storage bin, water, sewer, trash removal, use of pool, exercise room and party room.Shirlington is on a direct bus to Chrystal City where the soon to be opened Amazon HQ2 will be. Minutes to the Pentagon and a short bus ride into Washington. 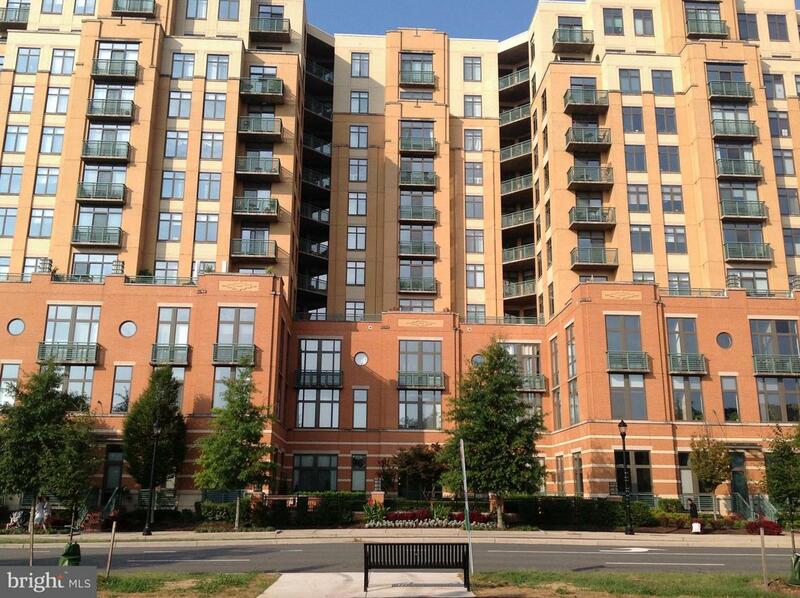 This arts and entertainment center is also across from parks and bike paths. 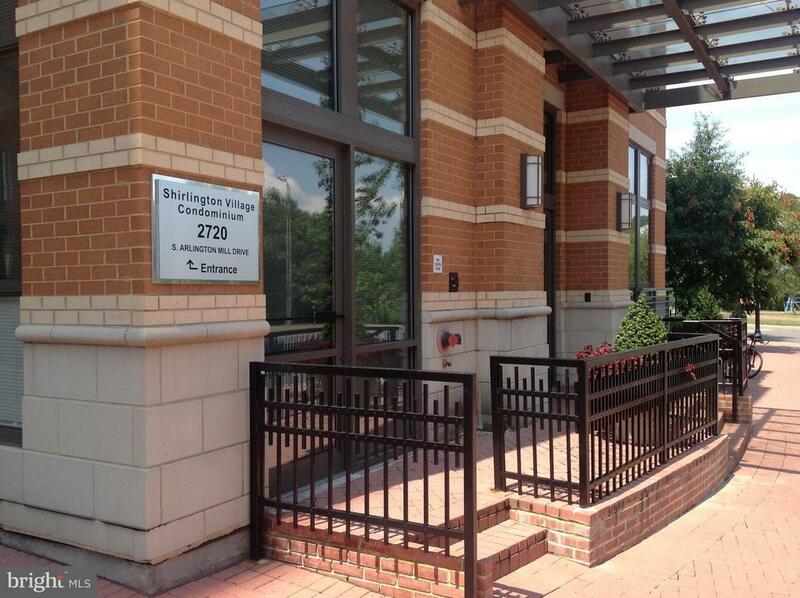 Have it all in Shirlington Village. Urban lifestyle in a park setting. Listing courtesy of The Bryan Group Real Estate, Llc.